Please, suggest date and approximate time by email at least one day prior to your visit, and we will confirm by email in return. Visitors of the Bamboo Garden and Nursery might wish to stay overnight nearby. 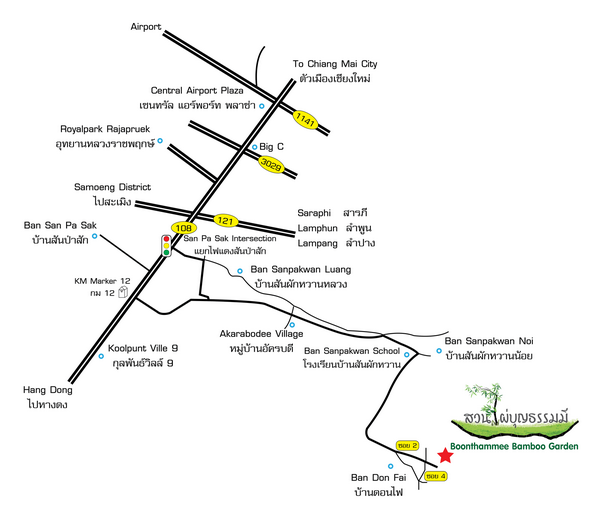 Baan Sammi Nature Resort, located on the same property and run by Khun Sam as well as the Nursery, offers accommodation. However, their accommodations are most often booked long-term and rarely vacant. Nearby accommodations are offered by Ban Chunsongsang Home Stay (budget) and Horizon Village & Resort (non-budget), and both do offer transport service (e.g. to the Nursery). Alternatively, visitors might consider to stay overnight in the city of Chiang Mai, and hire a transport service to the Nursery. 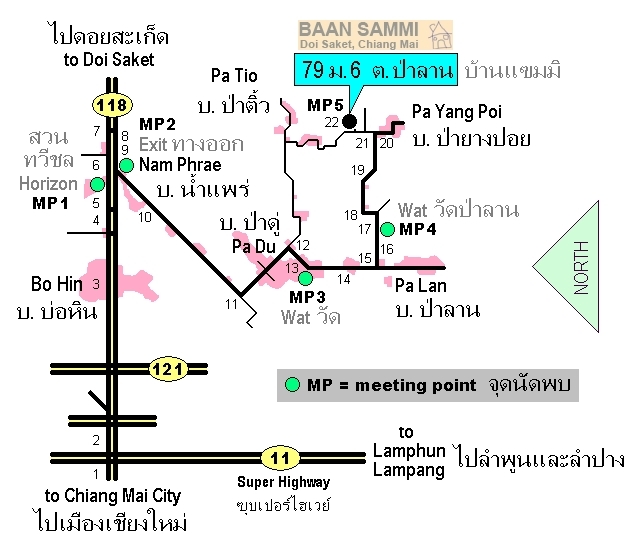 Details/links on how to hire transport service can be found in the chapter Vicinity of Baan Sammi Nature Resort.